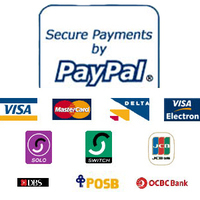 Debit cards (also known as bank cards) are accepted if they have a Visa or MasterCard logo. These are all processed through PayPal, but don't worry you do not need a PayPal account to make a payment (just click on the I don't have a Paypal account payment option to process your card payment). What are the exact sizes? Deliveries from stock lines are usually made within 7-10 days. Non-stock deliveries are usually made within 28 days. Is it possible to order a product in a different fabric or colour? We will always try and meet a customers specific requirement. Please call or e-mail us directly to discuss your individual requests. Are KEP products protected by a warranty? Our products are guaranteed for one year from date of purchase.